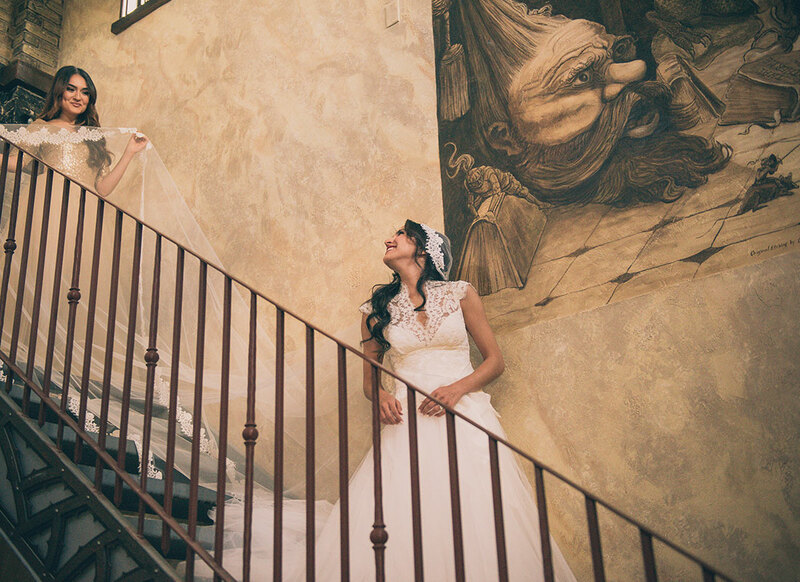 For some brides less truly is more. 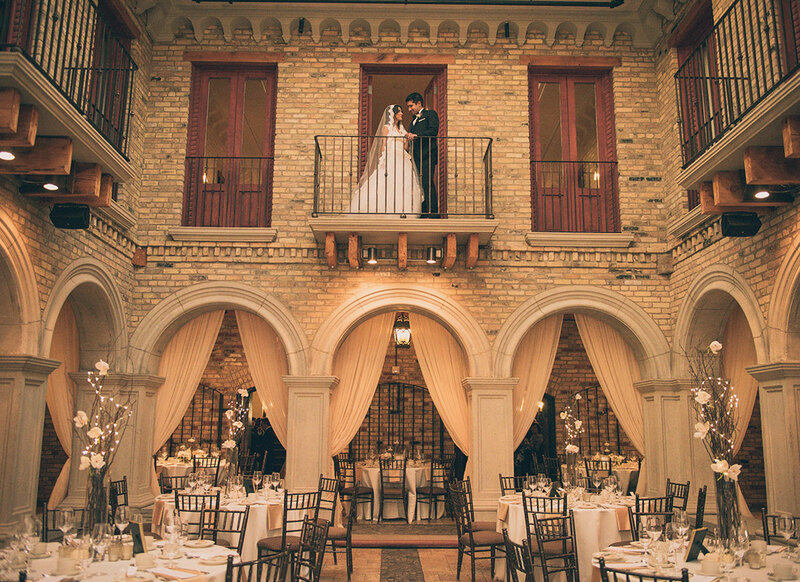 Married October 10, 2015, in the Hacienda Sarria in Ontario, Canada, Sam and Sadaf Giyahi showed that sometimes its the simple, elegant touches that make the most enchanting weddings. 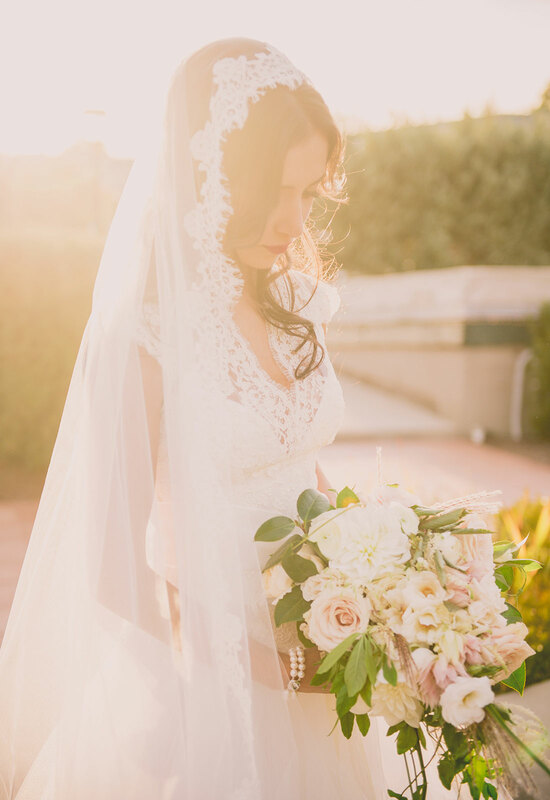 While Pnina Tornai is known as the Queen of Bling, her romantic, softer designs can not be denied. 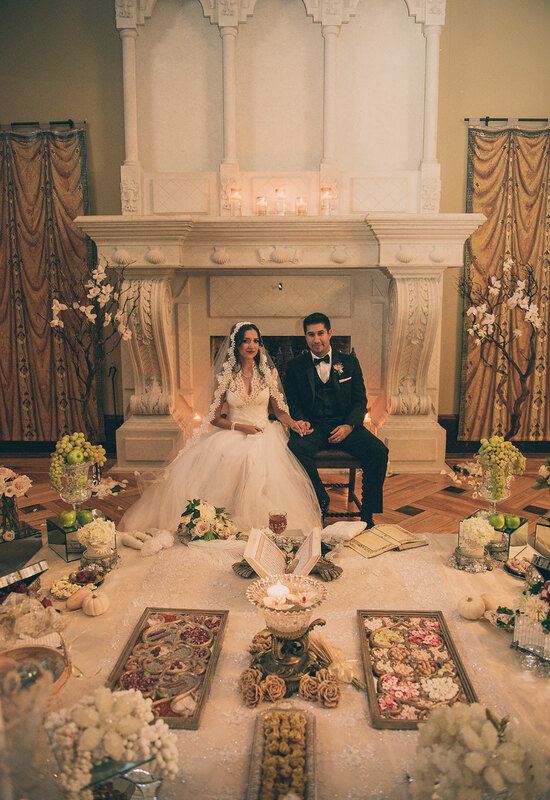 This is what appealed to Sadaf when she was searching for the perfect veil to accent her soft and lacy dress. 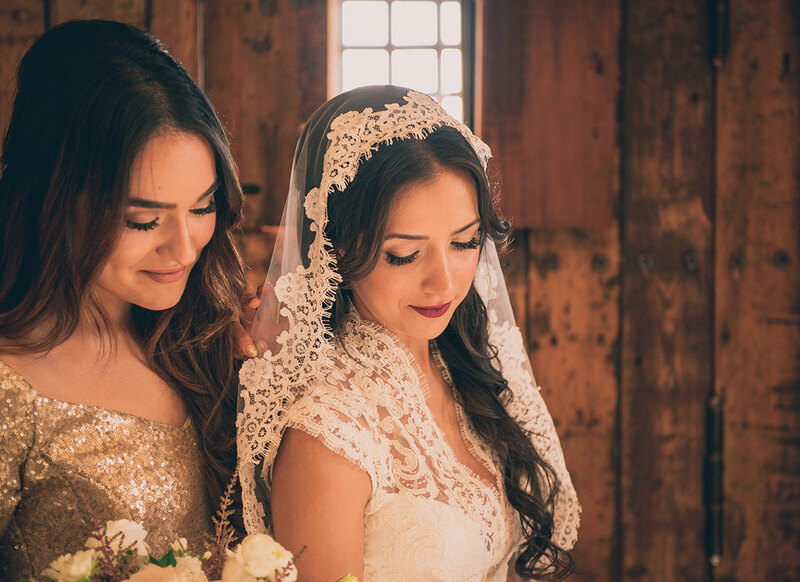 “ I really like everyday bling, but for my wedding I really wanted it to be soft and focus on the lace and tulle,” explains Sadaf. After visiting a few boutiques, Sadaf ventured to the new Kleinfeld located in Toronto, Canada. It was here that she experienced one of the best shopping trips of her life. For Sadaf it was all about how her and her family were treated and little did they know they would be treated to a wonderful surprise . . . . THEY MET PNINA TORNAI!!! 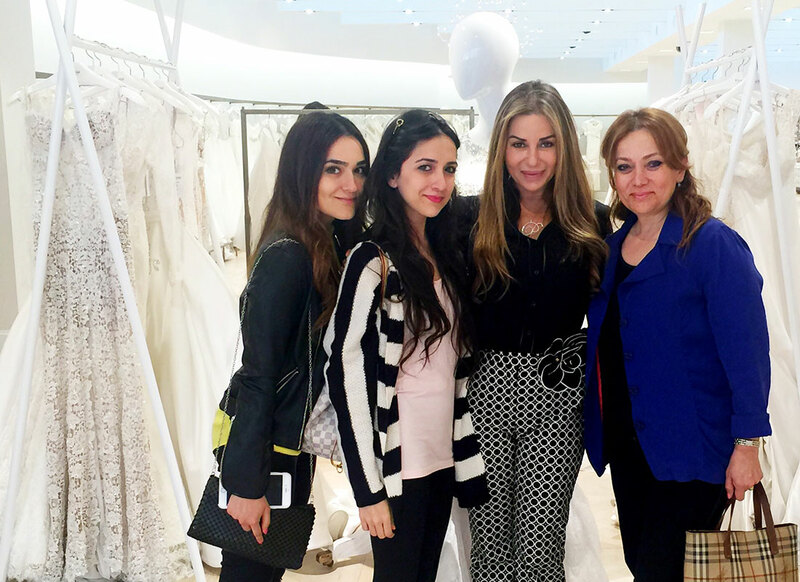 At Kleinfeld to greet and spend some time with her future Pnina brides, Sadaf and her family were stunned when the famous designer herself approached them. 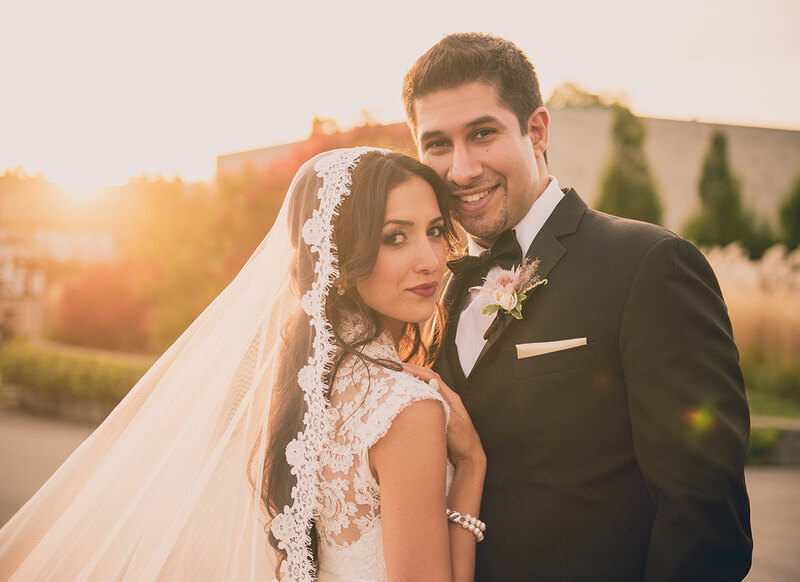 Touched by Pnina's genuine nature and the expert treatment of the Kleinfeld staff, Sadaf chose a cathedral French lace veil designed by Pnina Tornai to complement her feminine gown. 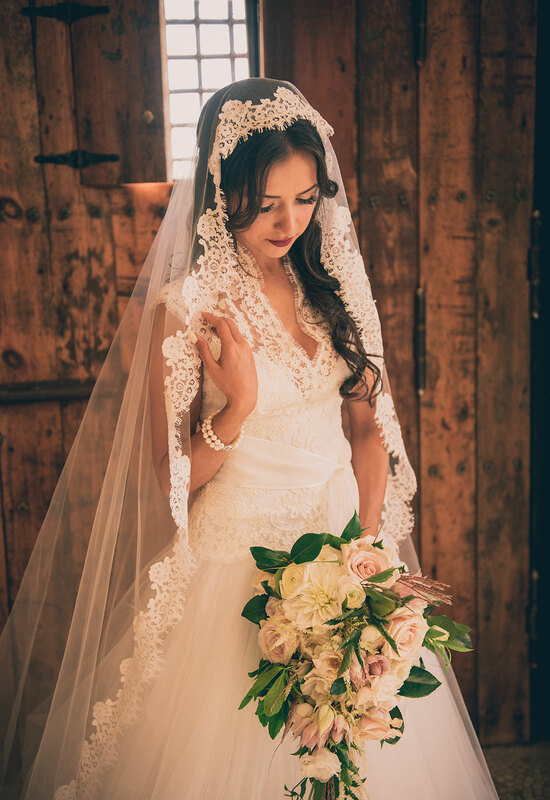 The dress and veil looked like a match made in heaven with perfectly coordinated lace detailing reminiscent of flowers and tiny seashells. 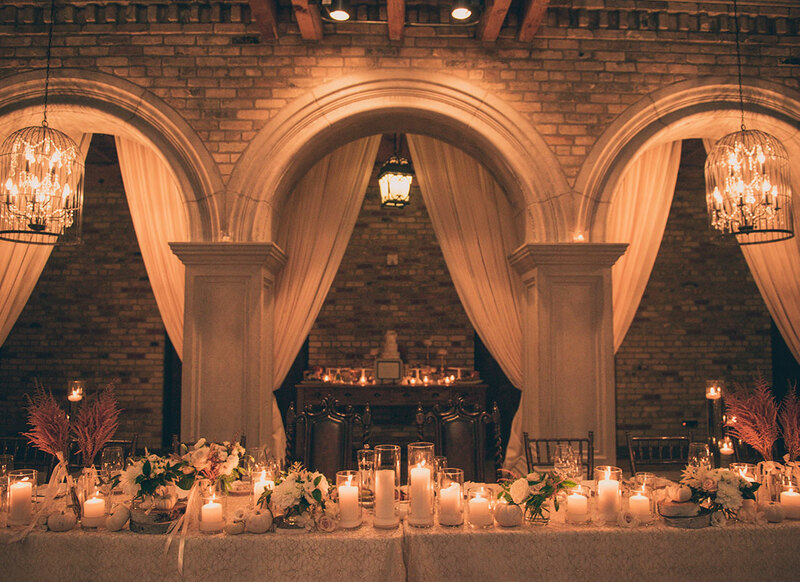 This tied in perfectly with the seashells on the mantle of the fireplace that Sadaf and Sam saw when visiting the Hacienda Sarria while searching for a wedding venue. 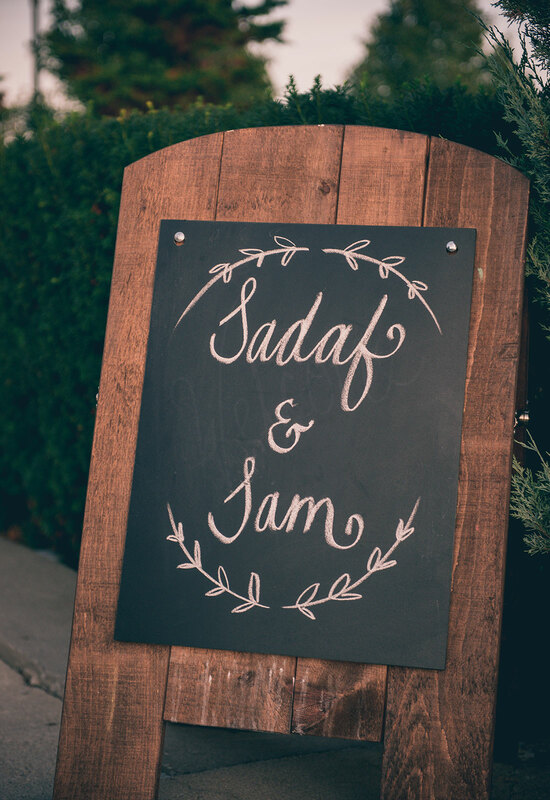 For Persian bride Sadaf it seemed like a sign since her name actually means “sea shells” in Farsi! 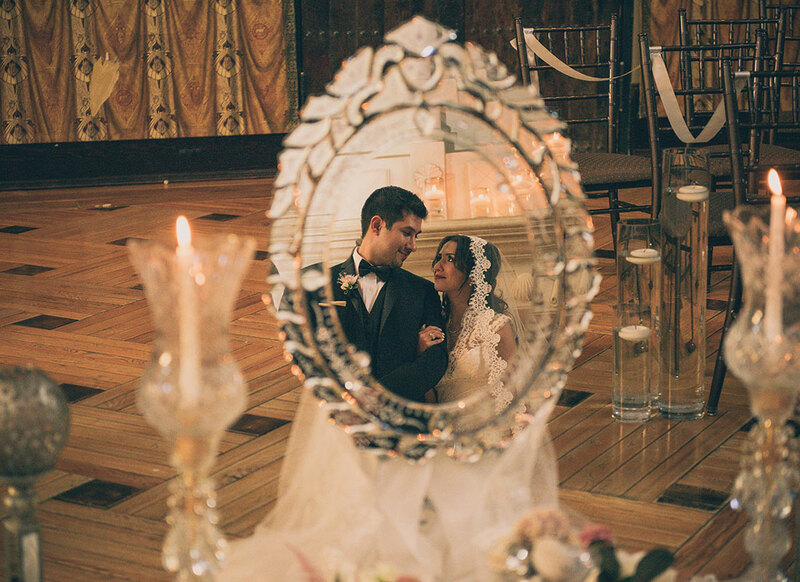 Wanting a small, intimate wedding with a few grand details, Sadaf's statement-making veil fit like a perfect puzzle piece in their wedding. 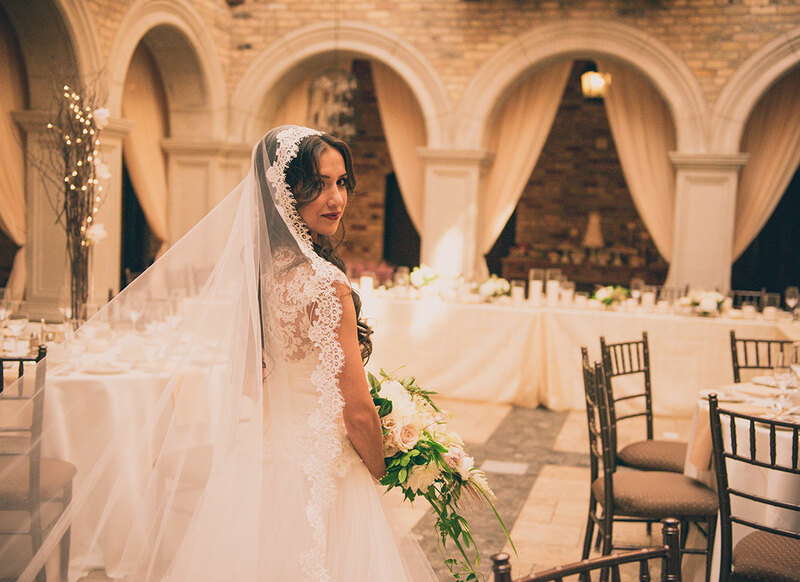 Same as the gorgeous architecture that made Sam and Sadaf fall in love with Hacienda Sarria, Sadaf's stunning Pnina veil was like a work of art. 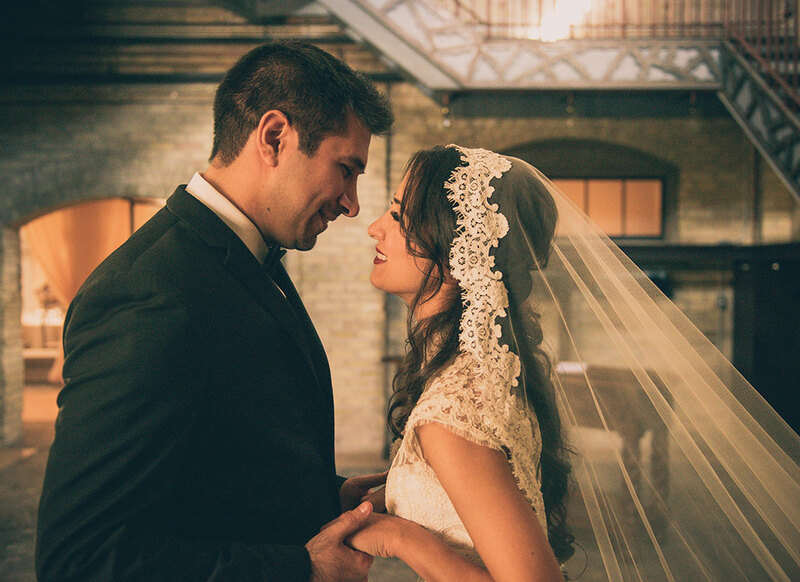 Amongst their warm fall colors, Sadaf's veil stood out with it's intricate detailing and sense of airiness. 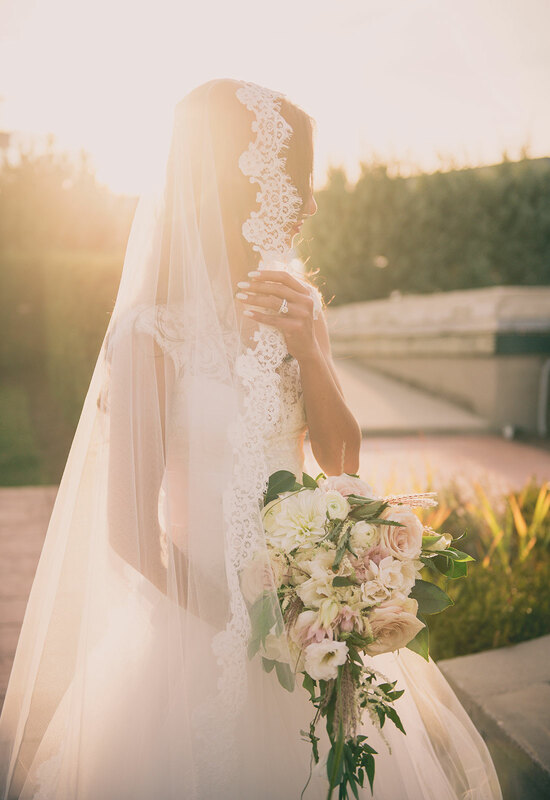 With such a statement-making veil, it makes sense that the bride would want to capture that in the perfect photo. 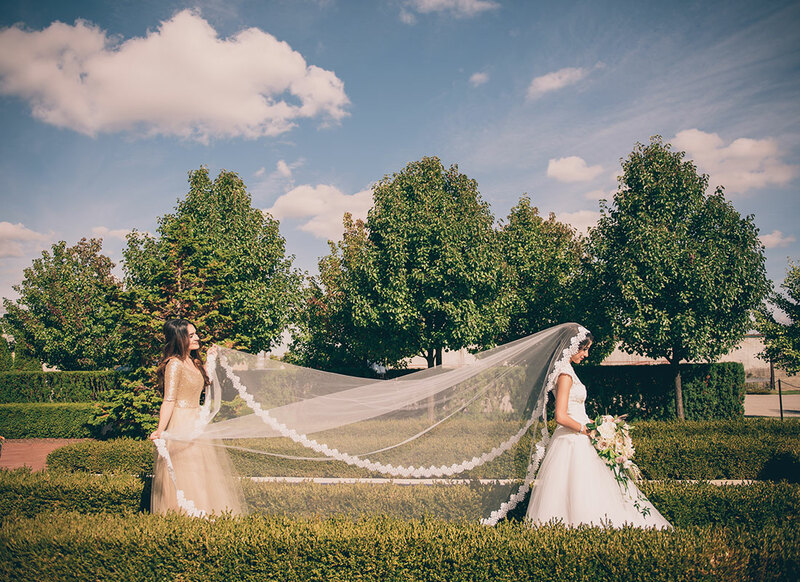 Since Sadaf's veil was much longer than her train, her sister Dorsa held out her elongated veil as an homage to the iconic princess's photo. 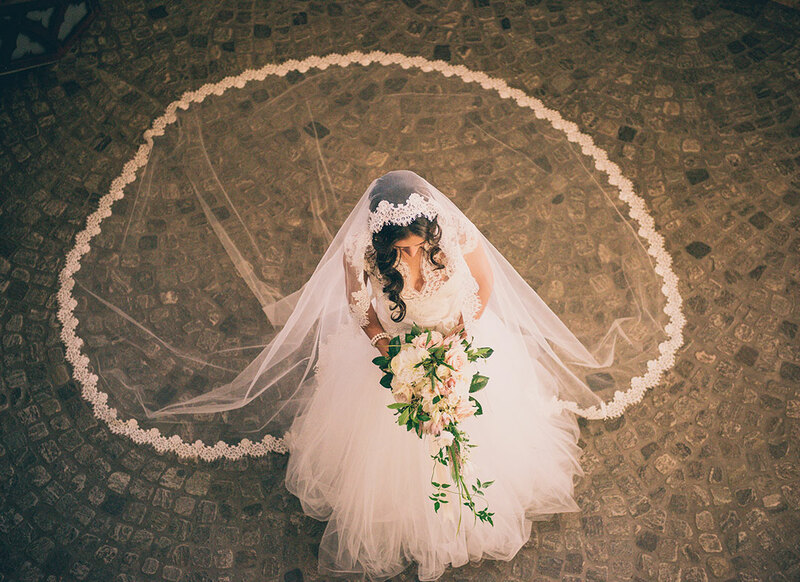 For such a petite bride, a few worried that her grand cathedral veil might overpower her small frame. 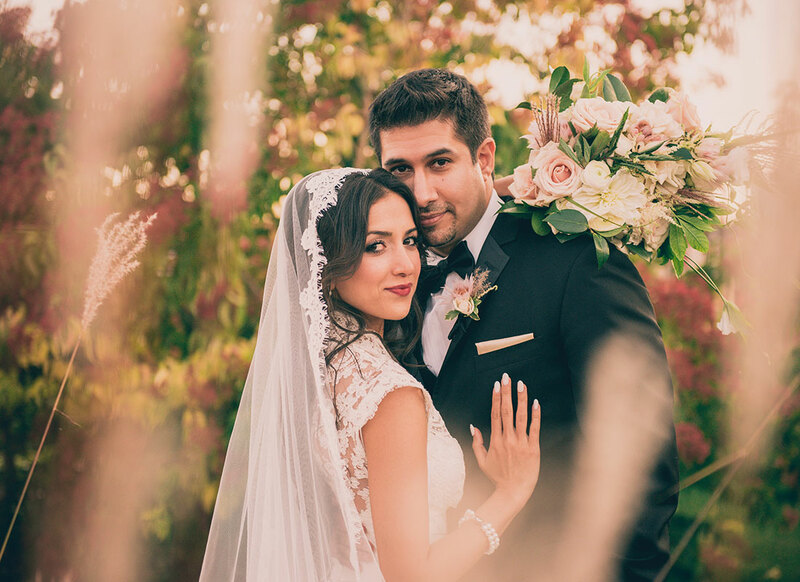 However Sadaf, who was enchanted by her gorgeous veil, felt that it instead added “power and elegance” to her final look. 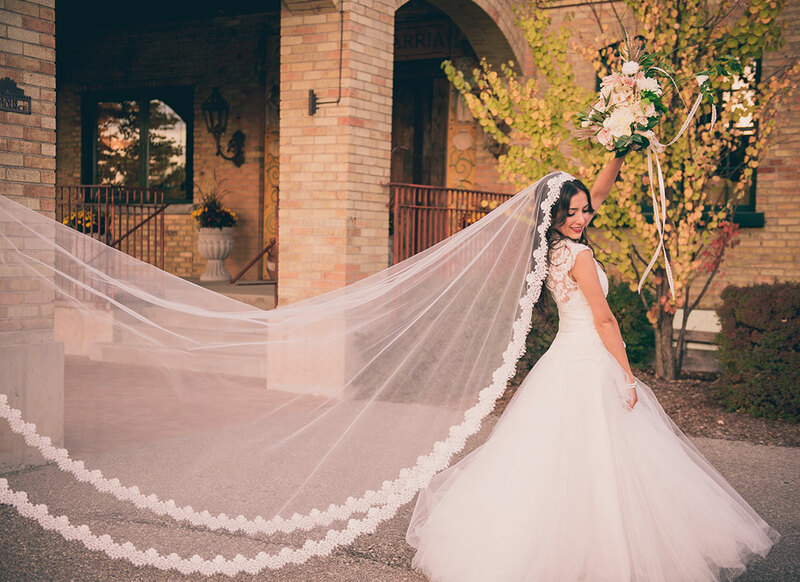 In fact, she loved the length of the veil quoting, “the longer the veil, the longer the marriage!” With a veil as long and fabulous as hers, I'd say she has a great shot at a long and wonderful marriage! !